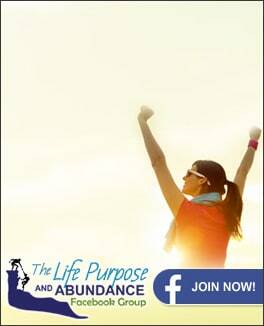 Greg’s Journey to becoming an Abundance Coach and Living a High Impact Life! Greg is the father of 3 children, and he and his remarkable wife Vicki live in beautiful Narrabeen on Sydney’s Northern Beaches. He enjoys the outdoors, fishing and travel. Over the past 35 years Greg has helped thousands of people find breakthroughs in their lives, overcome what seemed to be significant blockages, and experience deeper fulfilment. Greg speaks to groups ranging from 10 – 5,000 people, and has given Greg speakingthousands of presentations internationally, leading workshops, seminars, business presentations, and speaking on a wide range of subjects related to breakthrough and transformation. presentations, particularly in the area of conflict management, communication, and team building. With a Masters degree through Morling Theological College, decades of experience working with people, and having undertaken numerous personal development courses, Greg brings a rich depth to his coaching relationships. Life Challenges Help Greg Help you Through Anything! Greg has navigated his way through tough times, major life changes and challenges. He has experienced love, heartbreak and tragedy, transformation and hope. “Life often presents us with lessons and opportunities we didn’t expect, and pain is often an invitation to growth and change”. From personal experience Greg knows that hard times, when we may feel stuck or perhaps even shattered, can be incredible opportunities for growth. Greg applies the lessons he learned during tough times to help and inspire people to find the breakthroughs they need. With this background Greg bring compassion, understanding and a nonjudgmental spirit to his coaching. Greg is a living testament to his belief in the possibility that through the ups and downs of life it is possible to transform and live a life of great joy and fulfilment. With a vision to live a high impact life, Greg commenced Homes of Hope International in 2004, and continues to be the founder /chairman of HOHI. This organization truly “gives back” and is transforming the lives of women and children at risk, orphans, and the victims of human trafficking. The projects supported by HOHI all have a transformational intent, so that each person can discover and live to their potential. Greg undertook professional coach training with Life Forming Coaching, and is a registered coach with Abundance Coaching. He works from the Abundance Coaching studios in Narrabeen and Maroubra and internationally with on the phone and on Skype. Greg offers a client centred approach to coaching so that a trusting relationship is developed to facilitate breakthroughs and transformation. He sometimes describes his work as that of a “life strategist”, empowering people to move from surviving to thriving. Greg believes we can all transform and overcome on the journey to becoming the best expression of who we are. Whether you are looking for Life Coaching, Business Coaching, Executive Coaching, or Couples / Relationship Coaching you will Breakthrough by partnering with Greg Beech as your coach. If you want to Breakthrough your Biggest Challenges and more fully live your life purpose then schedule a Free 45 minute Life Purpose Plan Session with Greg. In this Session Greg will help you get clarity with where you are at in your life. Then he will help you breakthrough your biggest challenges and in the end you will have co created a Life Purpose Plan and Path to get to your most important goals and dreams. CLICK HERE to schedule your Free 45 minute Life Purpose Plan Session with Greg now.